Do Startups Need Marketing Materials? Your new business may need certain kinds of marketing materials to really take off. Having your own business may sound like a dream come true, but it certainly isn’t easy. Startup companies are founded on a few things–a good idea, good people, a good source of initial income, and a good way to get the word out. The fact is, a business being successful can often make or break the entire company. If you’re working on getting your own startup ready, you’ll definitely need the proper marketing materials to get the word out. Sure, social media is a great first step to take, but nothing beats the good old fashioned feeling of proper printed marketing materials. Posted in Printing Tips in Baltimore | Comments Off on Do Startups Need Marketing Materials? Not all promotional products are so bold and obvious. Sure, most of us own free t-shirts we got from sports events or college clubs, but it can extend into the realm of subtle and obscure. 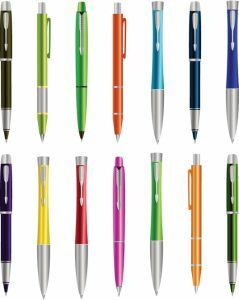 Something like a pen may not seem like an obvious marketing technique, but it has surprising staying power. In fact, promotional products have been shown to be one of the most effective media available to advertisers thanks to their tangibility, utility, and easy circulation. Time Printers are able to craft the perfect promotional products for you that really will work! Posted in Printing Tips in Baltimore | Comments Off on Do Promotional Products Really Work? How Can the Classroom Benefit From Printed Materials? Time Printers can help make your classroom come alive with the right printed materials! Summer is just about wrapping up and it’s nearly time to head back to school. For children, it’s an end to all the fun they were having during their break. However, for educations out there, we know this means it’s time to start getting prepared, start planning, and start moving things. You’ll need to rearrange classrooms, move boxes, and even decorate your new classroom. One of the best ways to decorate classrooms are lots of posters, of course! Here at Time Printers, we know that your classroom needs to be as exciting as you feel about your material, so here’s how we can help you. Posted in Professional Printing in Baltimore | Comments Off on How Can the Classroom Benefit From Printed Materials? Direct mail hasn’t shown any signs of fading out–it’s as strong and effective as ever, if done properly. 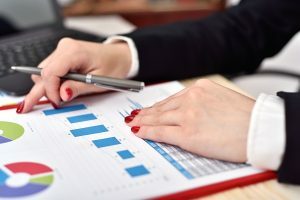 Marketing is a pretty broad term these days, with the inclusion of social media and internet marketing techniques to most businesses, but there are some tried and true methods that will never fade. One of these methods is direct mail marketing. Direct mail marketing is as effective as ever, and with the right audience and the right business, utilizing direct mail may be the most powerful approach to marketing out there. 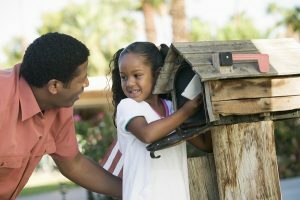 Here are some tips for starting a direct mail marketing campaign and doing so effectively.